11:47 - I have co-workers, one who is gay, but seeking God, another a Jehovah's Witness and one other a Mormon, all whom seem to be non-judgmental. As a Christian do I evangelize to them? Should I develop a friendship with her in context of work and share with her? 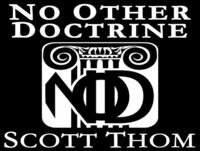 What is the correct doctrinal approach? 30:01 - I am afraid to lose my salvation, even though I am walking the walk, what do I do? 35:05 - Why are other religions allowed to marry, but a Catholic Priest is not? Did Peter start the Catholic Church?